I've rounded up my favorite recipes from JHC that are perfect for summertime and put them all in one spot...this blog post! If you try out one (or more) of these recipes, tag me on Instagram and use the hashtag #iamajoyfulhomemaker. Ginger Lemonade - This is my favorite recipe for homemade lemonade, it's zesty and refreshing and just plain delicious. Pineapple Mint Popsicles - I love the sweet and sort of savory mixture in these popsicles. They are sweet enough that kiddos will like them but the flavor combination is sophisticated enough for adults. Meadow Tea - If you grow mint in your garden then you need to know how to make meadow tea! It's super easy, the hardest part is waiting the 2+ hours for the leaves to steep. 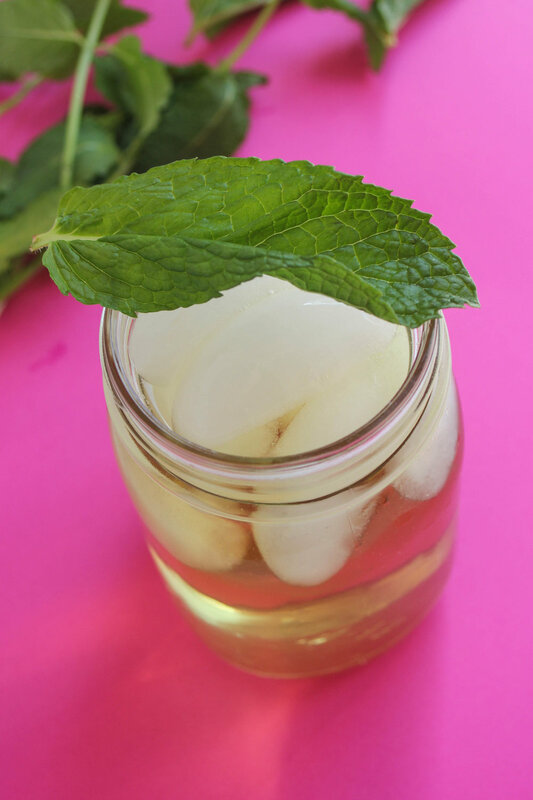 Mint grows like crazy so this tea is a great way to use a large amount of mint leaves in one go. Summer Cobb Salad - A summery twist on a classic salad, this colorful dish is perfect for lunch or hot summer nights. Strawberry Basil & Feta Galette - It's basically a strawberry and basil pie with feta cheese. It's sweet and savory and super yummy! And it's another recipe that uses fresh herbs. Shortcake Muffins - Make a muffin version of shortcake to pair with freshly picked, local strawberries. Lemon Lavender Muffins - If you are not a fan of eating lavender flavors then you probably won't love this recipe because the lavender is quite prominent. But if you're a fan of lavender then you will love these Lemon Lavender Muffins. Summer Veggie Flatbread - A super quick and healthy recipe, this is perfect to enjoy for lunch, dinner, or even for a snack! Feel free to add in any other summer veggie you like! Grilled Chicken & Asparagus Pasta - This is a staple meal at our house over the summer, it's cheap and easy to make. Blueberry Peach Baked Oatmeal - Baked oatmeal is a great recipe for meal prepping and leftovers freeze well.